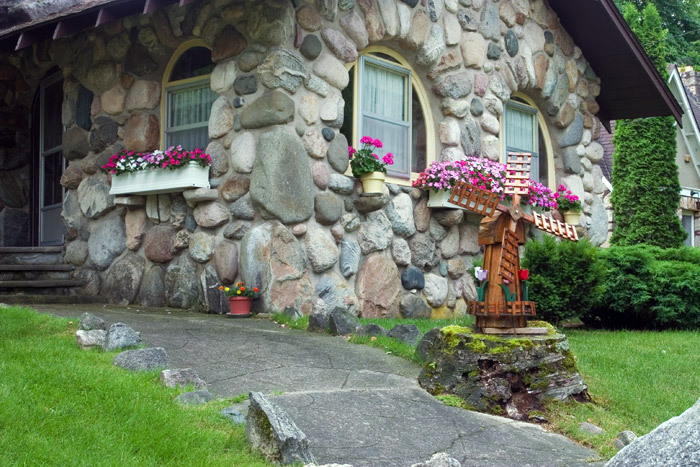 Some people call this cottage the Owl House because of the double arched windows that dominate the front exterior. Built between 1930-31, this is the first home Young designed with the caricature features that have visitors gawking. The home is constructed entirely of granite boulders and one of many to feature exposed rafter tails. . Photo © copyright by Mike Barton.